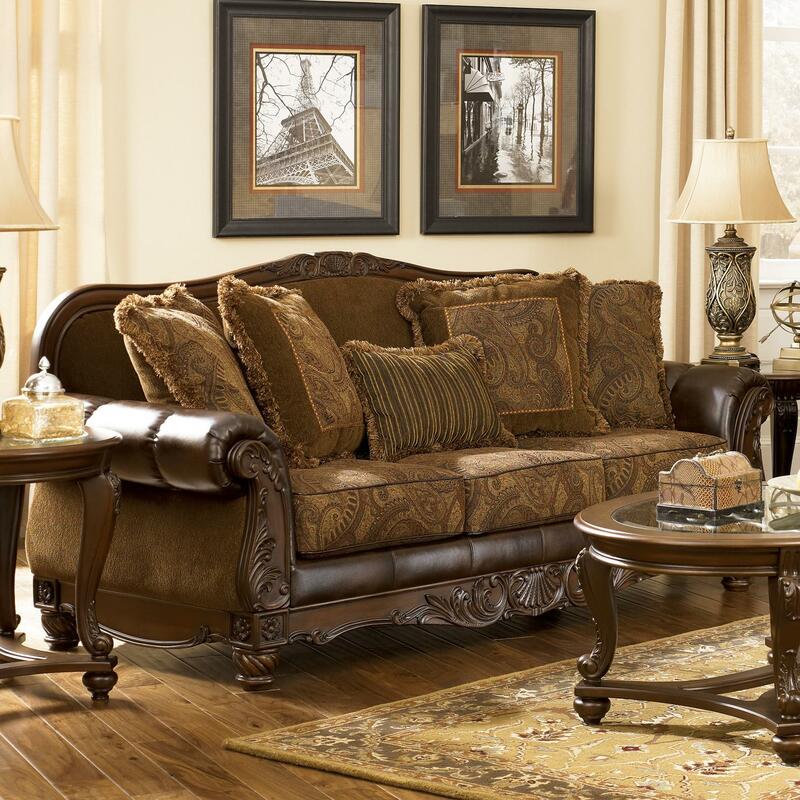 This elegant stationary sofa is sure to be a focal point in your traditional living room. The gorgeous frame features a combination of leather, fabric and wood for a rich, ornate design. 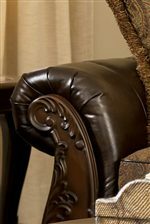 Scrolling acanthus and leaf detail along the arms and base accent the grandiose traditional design of the sofa. Cozy up in the comfort of the plump box seat cushions, scatter back pillows and leather rolled arms, and enjoy a comfortable seat while reading a book or watching a movie. Pair with the other living room pieces in this collection for a classic, sophisticated set. The Fresco DuraBlend - Antique Traditional Stationary Sofa with Rolled Arms by Signature Design by Ashley at Michael's Furniture Warehouse in the San Fernando & Los Angeles area. Product availability may vary. Contact us for the most current availability on this product. Leg or Skirt Exposed bun wood feet with carved detail. 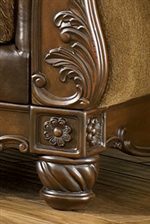 Browse other items in the Fresco DuraBlend - Antique collection from Michael's Furniture Warehouse in the San Fernando & Los Angeles area.